You already know that the only way to boost your App organic success and ad conversion rates of is mobile App localization. In some countries, it’s even an obligatory entrance ticket. But how to sell your App either in Google play or to big companies? Your App keywords are the ones that the audience use to find your App. Effective keyword research will help your App organic rankings. Perform a keyword research in the Russian-speaking market. You can do this by firstly compiling a list of important, relevant Russian keywords related to your business. If you do not know Russian and you are on a tight budget, you can always enquire for crowdsourcing services. Otherwise – to a professional localization specialist. 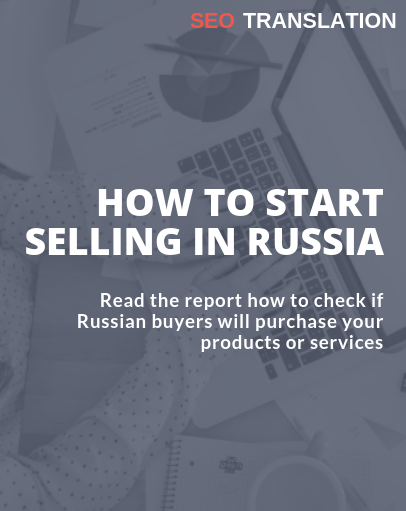 To estimate the keywords you can use a popular within the Russian market tool, described in my previous article about Top 3 keys to a successful marketing. With a list of Russian keywords, you can now check who your competitors are in the Russian market. Go to Yandex (number 1 search engine in the Russian market) and make a search for each Russian keyword. Search results will help you see how you stack up against your newly discovered competitors. You can carry out a visual analysis – just visit their website and analyze them. Check if their websites are designed on the highest professional level, if there is much unique content, etc. This basic site research can give you a lot of information about how professional your competitors are. You can also try special SEO tools to check their online presence in the Russian market, e.g. Seomoz or SEMrush. Planning allows you to use the resources efficiently and prepare your App for unexpected. Develop a detailed roadmap so your stakeholders have more visibility on what you are planning with mobile app localization. are you going to adapt checkout process to the Russian market so that it appears native to a Russian-speaking user? In other words, are you going to make currency localization? are you going to localize FAQ page to Russian? Are you going to manage customer support in Russian to create a local presence? Hire a Localization Service Provider which will facilitate the whole mobile app localization process. Ask for style guide development, glossary development before localizing to Russian. It is worth taking into consideration that the Russian language is 30% longer than English. Ask your localization provider to create an excel sheet to track the length of the target and source words. You have to find in-country representatives, either professional localization specialists or crowdsourcing individuals. They can test your localized application and review it. Professional localization specialists will be able to provide you with valuable feedback to confirm the accuracy of the completed project. Expert advice is always a plus. End-user evaluation can link quality and expectation gaps between users and a localization team.